As a resident of the United States it is 100% legal to purchase and wear body armor / a bullet proof vest. Why would someone other than members of law enforcement or the military need, (or want), body armor you might ask? Anyone who lives, plays, or has to work in potentially dangerous or violent environments. These could include Law Enforcement, Bounty Hunters, Repo Man, Security Guards, Shop Owners and Workers, Surveyors, Park Rangers, Volunteers, Bank Employees, Couriers, War Photographers, EMT’s, Paramedics, Hunters, People Who Have Concerns Of The Other Patrons At The Local Gun Range, or Someone That Likes Being Prepared for Possible Threats. Before deciding on which style, brand or type is right for you, its best to understand a few things about body armor to help make a more informed decision. 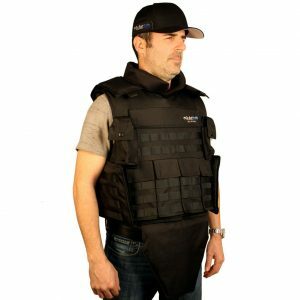 Below are 10 important features and benefits to look for when shopping for body armor. While it might not seem the most important factor to consider first, buying what you can afford is smart. Realistically consider what your budget will allow and shop for what will do the job. Body armor like anything else, it is a tool. Think of body armor like you would a pair of shoes. If you are going jogging a pair of running shoes would be the first choice of foot wear. If hiking or hunting, a pair of 6” or 8” laced up support boots would be more applicable. So defining what type of threats you are preparing for will help you select the right tool for the job. 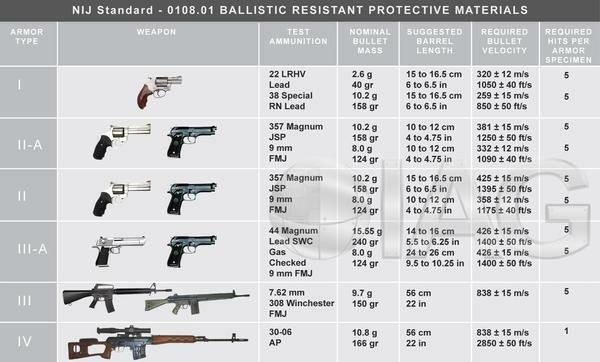 Bullet resistance is classified in 6 levels of protection as determined by the National Institute of Justice, (NIJ). 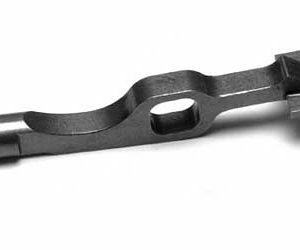 Level I protects against small caliber, low velocity rounds. Two of these levels have an A alternate that until you reach Level IV, which is the highest protection level available to the general public at this time. See chart below. Do you want to wear it under street clothing as a concealed vest? Soft body armor vests are available in levels I, II-A, II, III-A and will stop most popular hand gun rounds and can be worn underneath clothing. In a concealed carry tactical situations, it matters a lot how your carrier fits your body. If your assailant can see your vest easily, its protection will be useless. Bad guy will aim for your unprotected areas like head, crotch and legs. Armor plates are required to reach the highest protection level IV, (4) that will stop commonly used rifle bullets. If you expect to encounter rifle fire you will need to add at least one armor plate to cover your chest area for protection. 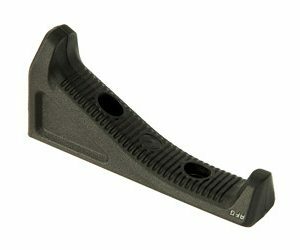 Armor plates are available in Ceramic, Polyethylene and Steel materials. Each type of material has specific advantages and disadvantages so do your research and budget accordingly. Soft body armor vests level III-A, (3A) weigh between five to six pounds, depending on the chest size. A level IV Vest with soft armor and armor plates front and rear can weigh up to 16 lbs. Even if you are an elite, well trained civilian athlete you are probably not going to be running and gunning much with fully equipped level IV vest. While a Bulletproof vest is much more comfortable option than being shot or dying, no bulletproof vest is going to be all that comfortable for long periods of time. Your upper torso is going to be completely wrapped in a multilayered garment that does not offer any airflow so in the summer time they will be hot. 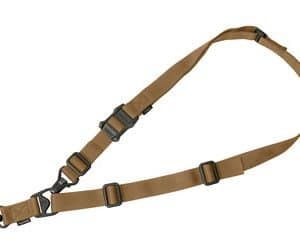 This will be a function of the type and number of layers of bullet resistant fabric used in the construction of a particular vest. This affects the final thickness and flexibility of the vest. 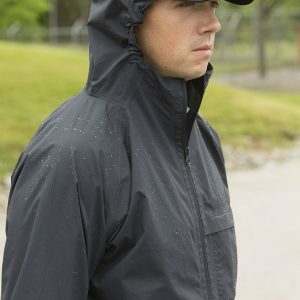 Other factors that also come into play is the coverage, cut style or fit and material softness. Practically all vests offered today by the major manufacturers of bullet proof vest panels are made from Ultra High Molecular Weight Polyethylene (UHMWPE or High Strength Polyethylene). Most bulletproof vest manufacturers have moved beyond Kevlar into stronger materials. You should also consider what you will be wearing underneath your body armor, and length of time that the armor will stay on. Other than laundering the outer cover of your vest, maintenance should be minimal. The particular brand of vest will also have care and cleaning information included with your new vest. 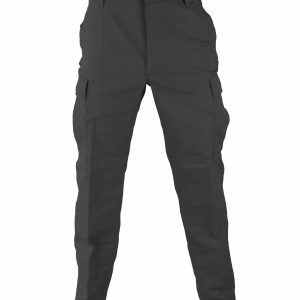 A little research regarding cleaning and caring for your tactical gear will pay for itself in performance and reliability. Also you can check the NIJ website, it is a good resource for information. Because body armor can be a substantial investment, warranty coverage should be a consideration. Most likely it will be a one-time investment and you would expect it to last. The generally accepted length of service for materials currently in use for vests is 5 years. Expect to see a minimum of 5 years warranty coverage for a quality protective vest. One last note. No body armor, (other than Iron Man’s, and of course and the military is working on variations of the idea), protects from all ballistic threats. 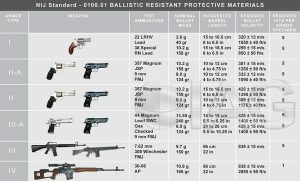 High velocity pistol rounds, pistol rounds fired from a rifle platform, high velocity rifle rounds, armor piercing rounds, knives, and ice picks can penetrate armor vests. There is also a possibility of bullet entering from the side if area is not protected. Even bullets that are successfully stopped by armor will in all cases result in some level of trauma of minimally severe bruising, but there is also a possibility of broken bones, and serious internal injury or even death.